Due to a large scale upgrading of the motorway and trunk road network in the Republic of Ireland an immersed tube tunnel is being constructed at Limerick in order to ease severe traffic congestion. 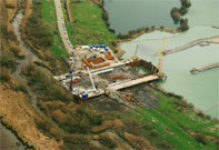 In order to build the tunnel significant temporary works were required to gain access to both sides of the River Shannon. 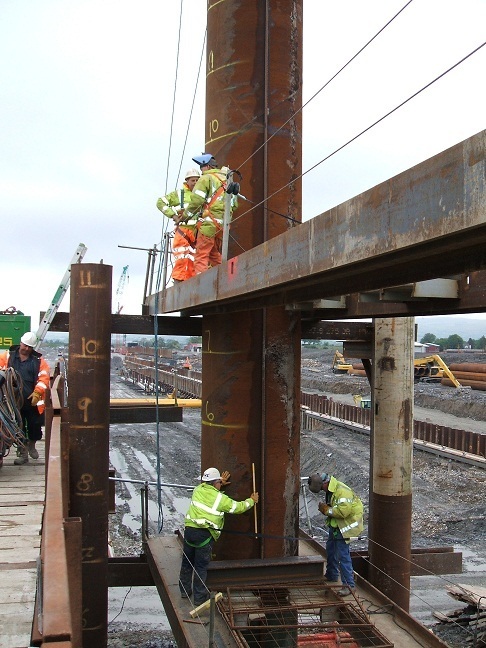 Dew Piling was responsible for installing two large cofferdams through which the tunnel segments will be transported into the river, along with temporary access jetties capable of supporting 200t crawler cranes. 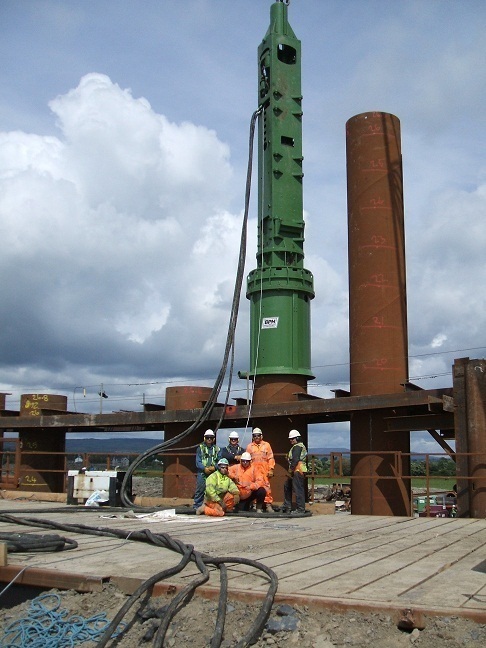 The cofferdams consist of combi walls with the toe of each tubular element being doweled into the underlying rock using rotary drilling equipment. Once the tunnel is installed all temporary works will be extracted and removed from the site.